I spent Saturday at a conference on the living wage organised by the regional TUC. It seems sad that you need to campaign for the right to earn enough money to live on but this is the reality of the living wage campaign. It was easy for me to agree with it since the Green party's policy is to raise the minimum wage to living wage of 60% of average earnings (currently around £8.10 per hour). The representatives from the Conservative and Labour parties present similarly supported and the living wage, although their parties do not have it as part of their national policy platform. The idea that paying workers reasonably is good for everybody in the economy is neither new nor radical. It was the idea that enabled Ford's Detroit workers to buy the cars they were manufacturing, and forgetting this important lesson about capitalism is part of the explanation for the disastrous state of Detroit today. My own presentation was focused on the living wage as a first step towards the end of wage slavery and needless to say I ranged rather more widely than the idea of bringing wages up to a liveable minimum. The beginning of my story was the way the Empire of Capitalism struck back at the end of the 1970s and the huge impact this had on the income dispersion. This is illustrated in the graphic taken from the work of Danny Dorling, which shows the share of total income going to the richest 1% of people between 1918 and 2005. The impact of trade-union activism and increased worker expectations is clear, as is the counter-effect of the Thatcherite ideology and attacks on union power. My next graphic, based on ILO data, demonstrates clearly the importance of the Tina narrative in persuading workers not to ask for higher pay. 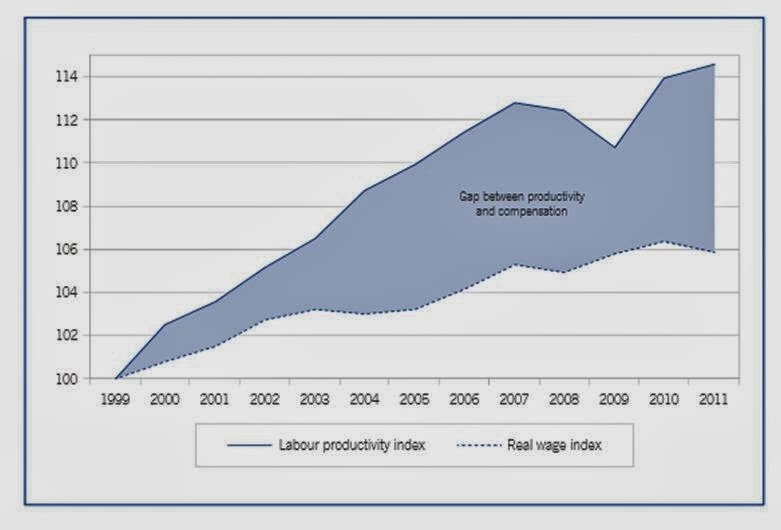 It shows the clear indication of productivity increases on a global basis and the fact that the value generated by these workers working harder has been paid in profits rather than in wages. The argument around globalisation was used to persuade workers that they must compete with those in the lowest-paid economies in the world, and that asking for higher wages would destroy their own jobs. 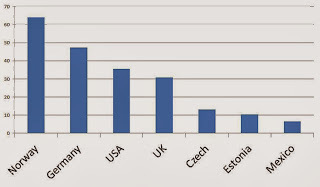 The inevitability of a race to the bottom when this ideology is played out is illustrated clearly in the graphic showing wage rates in different countries. The great disparity of wages across EU countries which are part of the same single market is surely an issue that requires political debate. 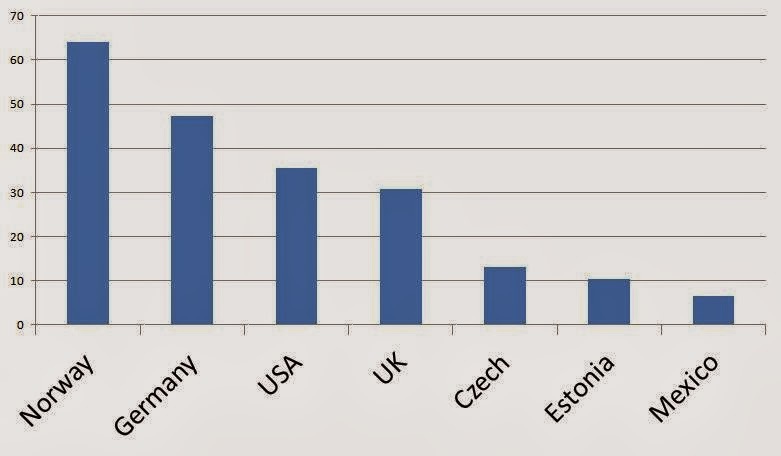 Why do we accept the very low pay offered to workers in central and eastern Europe? The deal we are offered is cheap goods rather than well-paid jobs, encouraging us to focus on our role as consumers rather than producers. The political economy underpinning this is not discussed but should surely be open for democratic debate. The gains in wages illustrated in the earlier graphic were the result of solidarity across industries within a market. Globalisation undermined this but if we are to return to international solidarity in a globalised economy then surely a global minimum wage must be our ultimate demand, rather than a low wage, even if a living wage, subsidised by corporate welfare in the form of tax credits.